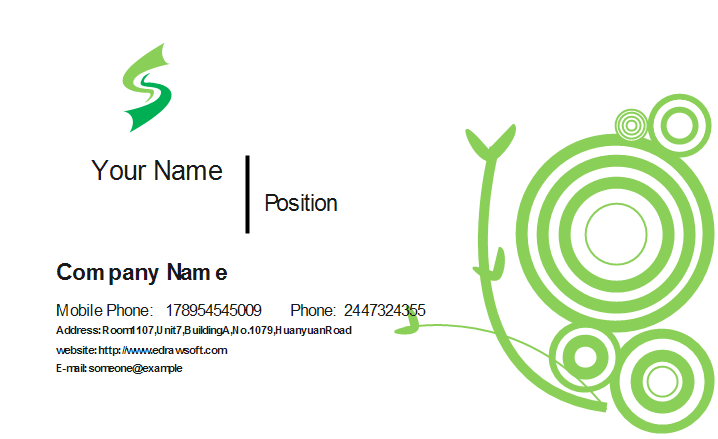 This green vine business card template will be perfect for your business related to nature and biological subjects. It's can be easily customized and free to download. 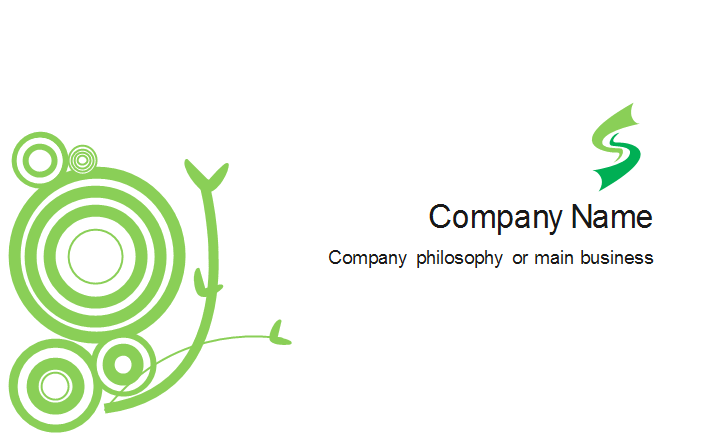 Let us study this business card from a mere visual vision - it is made of nice green circles and vines that present an abstract picture. But if we watch this template from a raw thoughtful prospect it is very refreshing because of the green color and the cute sprouts it has. Discover why Edraw is an excellent program to create green vine business card. Try Card Maker FREE.